Propper Adjustable Tool Pouch with MOLLE. Secure tool transport. 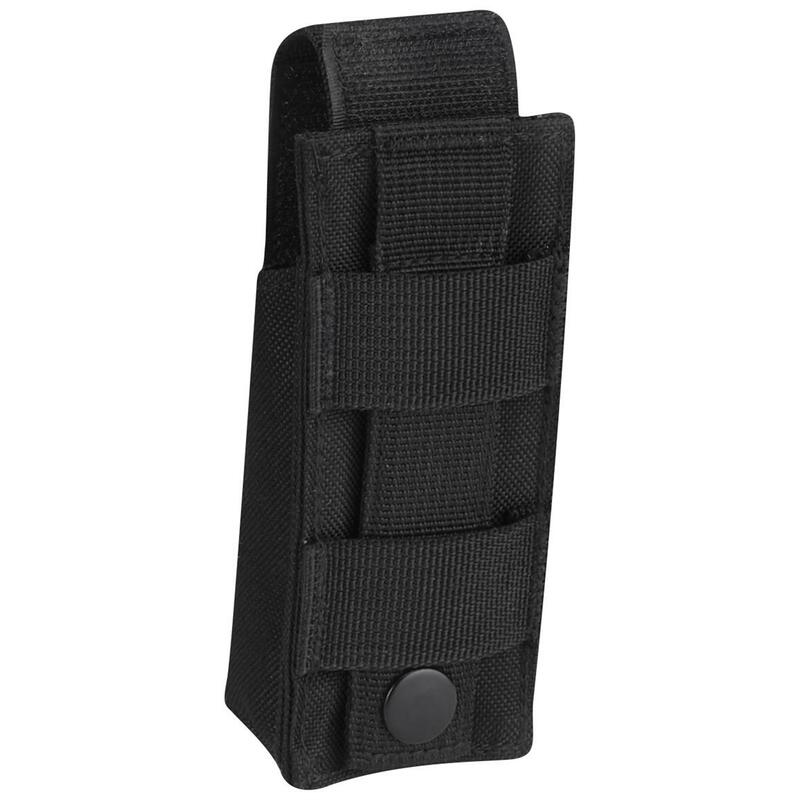 Add a compact pouch to any MOLLE-compatible backpack with this Propper Adjustable Tool Pouch. 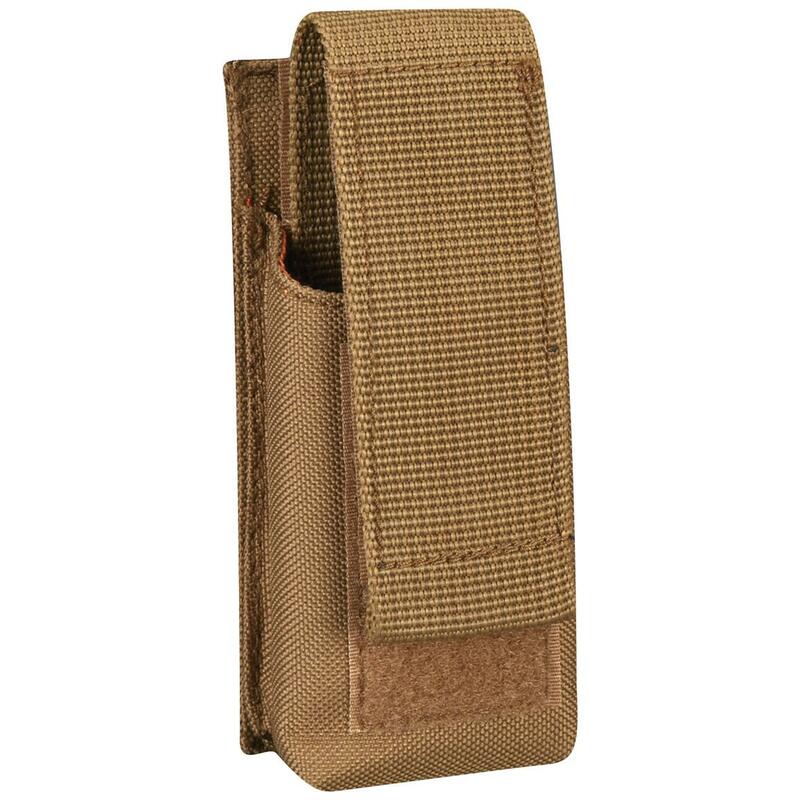 Removable elastic retention strap helps keep magazines, knifes and flashlights securely in place and at the ready. Get yours here for LESS! 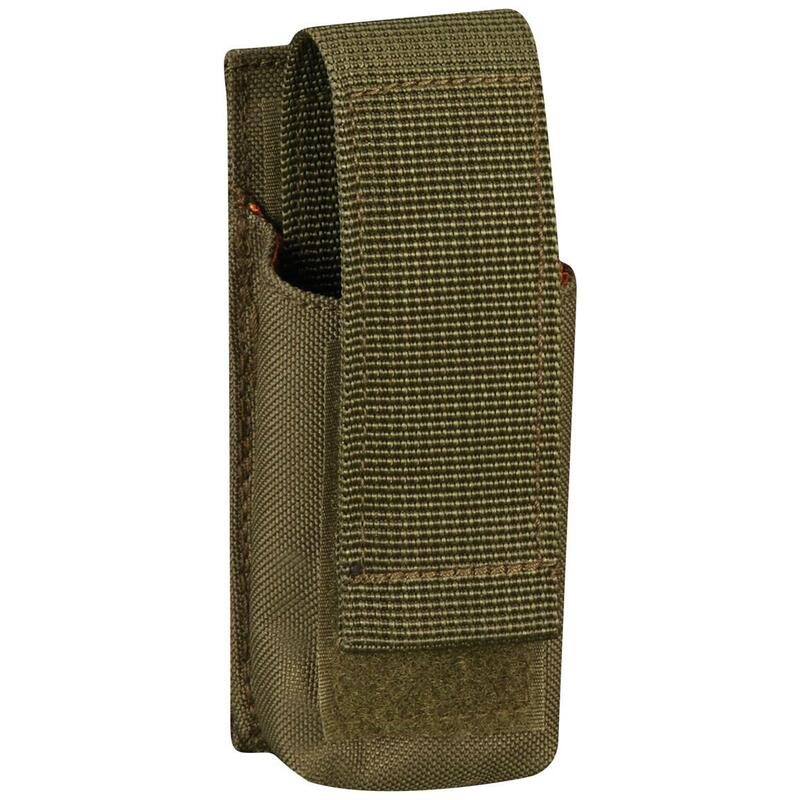 Measures 2" x 1" x 5"h.
Propper Adjustable Tool Pouch with MOLLE is rated 5.0 out of 5 by 3. Rated 5 out of 5 by Raymond D from Good pouch for the money Ordered some of these, mainly to use as holder for RATS tourniquet. Worked fine for that and is good size for several other uses. Rated 5 out of 5 by Scott from Great multi-purpose pouch Pleasantly surprised with the quality and versatility. I bought two, and now will buy more. Adjustable height accommodates multi-tools, pistol mags., or flashlights. Rated 5 out of 5 by Marc from Great find! Originally sold as something else, the new description showed me how to meet another need. It does that very well. 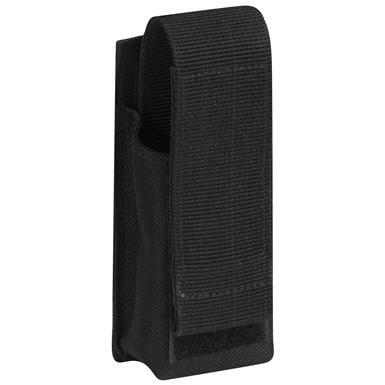 9.75" x 4.5" x 1"
Heavy-duty mag carriers for the range.